When Lynda Mottershead was planning her estate, she decided she wanted to leave a legacy of compassionate care. Thanks to her generosity and thoughtful foresight, the Archie Courtnall Centre has been renovated to better serve patients who need emergency psychiatric services. The Archie Courtnall Centre helps people who are in crisis by providing psychiatric care and intervention services that can make all the difference in some of the most fragile times of their lives. Last year, more than 1,500 patients used the centre. 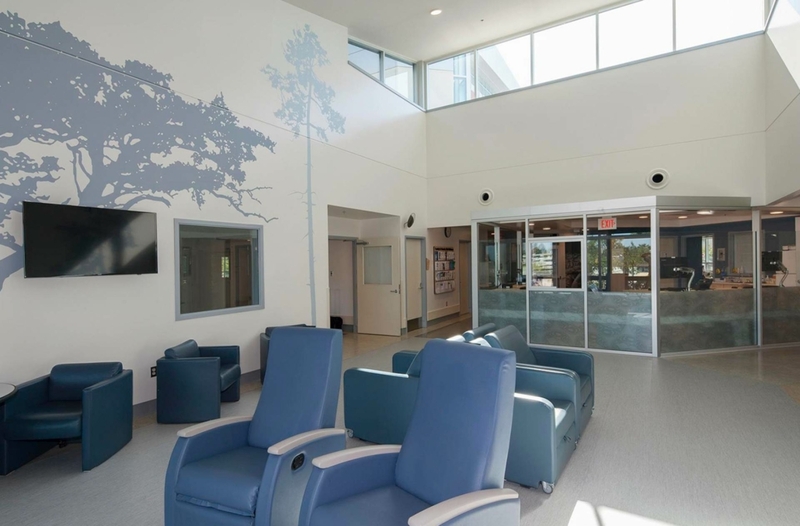 When the Centre opened 13 years ago, it became a leader in Canada for providing “emergency department” style care to patients with mental health challenges. After more than a decade of use, the space was in need of renovation. Ms. Mottershead’s generous estate gift of $207,800 funded a number of upgrades to improve the space, including a new, more secure nursing station, a third private room for patients in severe crisis and the addition of skylights to patient rooms. Another examination room was also added, and enhancements were made to family spaces so patients can enjoy time with their loved ones. On behalf of all the patients whose lives will be touched by the Archie Courtnall Centre, thank you, Lynda. Your legacy lives on. We would also like to acknowledge the Courtnall Family for their vision and immense generosity over the years.